Not only has Amazon introduced Prime in Singapore, it is now bringing us the holy grail of online sales – Prime Day, which will launch in Singapore for the first time this year. The exciting sales event is slated to happen for 36 hours! So keep yourselves free from the midday of July 16 – a day after the 2018 Fifa World Cup final – to the midnight of July 17 (Singapore time). Prime Day is an “epic day of our best deals”, according to Amazon. Shoppers will see major reductions across most product categories on Amazon’s marketplace, but especially so in electronics and homeware. Amazon’s Prime Day: Get your Amazon promo codes in Singapore ready! Amazon’s director of Prime Now for the Asia-Pacific, Henry Low, said that Prime Day will mark Amazon’s first-year anniversary in Singapore. And what a wonderful year it has been! “Singapore will enjoy a customised set of benefits, and curated set of deals across products ranging from toys and baby to home and kitchen to electronics,” he said in an interview with The Business Times. Only Amazon Prime members can enjoy the benefits of Prime Day. Amazon Prime members pay S$2.99 a month for their membership programme, which affords them exclusive shipping, shopping and entertainment benefits. Amazon Prime Now, a benefit of Amazon Prime, offers ultra-fast delivery in under two hours and at no additional fee. 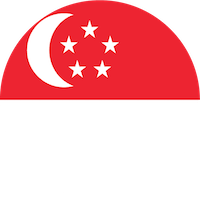 The services were rolled out in Singapore in 2017, marking the e-commerce giant’s first foray into the Southeast Asian market. Singapore isn’t the only country to get to enjoy Prime Day for the first time this year. The other three countries are Australia, the Netherlands and Luxembourg. 1. NEWVISADBS: Get S$20 off (S$40 minimum spend, for new customers) when you use your DBS or POSB Visa cards. For new customers only. 2. VISADBS20: Get S$20 off (S$80 minimum spend, for existing customers) when you check out with your DBS or POSB Visa card. 3. NEWDBSPOSB10: Get S$10 off (S$40 minimum spend, for new customers, DBS/POSB non-Visa cards). 4. DBSPOSB10: Get S$10 off (S$80 minimum spend, for existing customers, DBS/POSB non-Visa cards). Offers end 31 Jul 2018. 5. NEWUOB10: Get S$10 off (S$40 minimum spend, for new customers, pay with an UOB card). 6. Check out Amazon Deals of the Day. Get at least 70% off. New deals added every day. 7. Save up to 75% with Amazon coupons on certain products. Check everyday for new coupons.